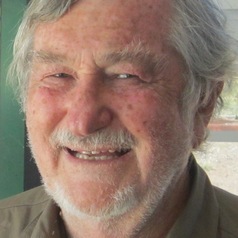 Edward Webster is Professor Emeritus in the Society, Work and Development Institute (SWOP) at the University of the Witwatersrand. He is the founder of SWOP and directed it for twenty four years. He is the author of seven books and over one hundred academic articles as well as numerous research reports. Among his publications are Grounding Globalisation: Labour in the Age of Insecurity, written with Rob Lambert and Andries Bezuidenhout. Winner of the 2008 Distinguished Scholarly Monograph Prize, awarded by the American Sociological Association Labor and Labor Movements Section. He is currently completing a manuscript on Labour after Globalization: Old and New sources of workers’ power. He holds a BA (Hons) (Rhodes), an MA (Oxon),a BPhil (York) and PhD (Wits). Webster was recently awarded an honorary doctorate by Rhodes University.